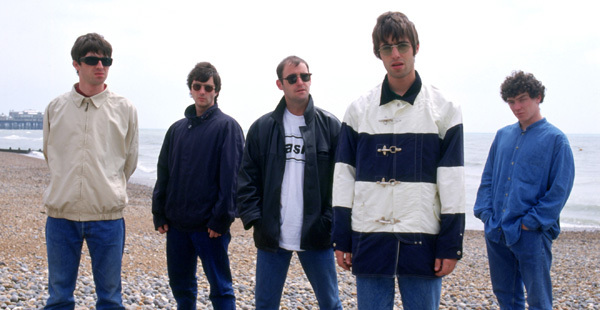 "You and I are gonna live forever..." Can you believe it's been two decades since we first heard those lyrics? Doesn't time fly when you're having fun? Incredibly, Definitely Maybe - that generation-defining debut album from Oasis - celebrates its 20th anniversary this year. As announced last week, a deluxe, re-mastered edition of the album will be released on 19 May as a CD and box set, complete with two discs of B-sides and rare tracks from the Definitely Maybe era. Radio X has managed to get hold of one of the Definitely Maybe deluxe reissue bonus tracks for you to listen to - a super-rare acoustic version of Live Forever, recorded by Liam and Noel Gallagher at a Paris in-store session back in 1994. Highlights of the reissue include previously unheard live acoustic versions of Live Forever and Shakermaker from a Paris in-store gig around the time of the album's release; an early version of Half The World Away recorded in a hotel room; and the track Strange Thing from the band's original 1993 demo tape. It's the first in a set of reissues called Chasing The Sun, which will also see the albums (What's The Story) Morning Glory and Be Here Now get the same treatment. Live Forever was written by Noel while he was working for a building company in Manchester and is said to have been inspired by Shine A Light by The Rolling Stones.